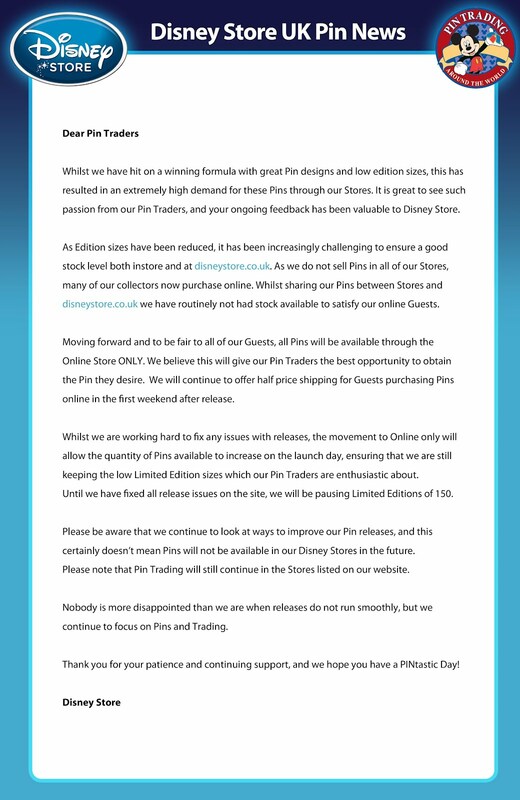 Disney Store UK has released ﻿a statement about pin trading in the UK. The sad news is that Trading Pins will now only be able to purchase on-line. Budget airline Ryanair has launched services from an airfield in the Champagne region of France 90 miles from Paris and 70 miles from Disneyland Paris but that has not stopped the budget airline naming its latest operating airport – ‘Paris-Vatry-Disney’. But despite Ryanair marketing the airport as the ideal gateway to the French capital and Disneyland Paris, it is in fact closer to the Belgian border than the Eiffel Tower and Main Street U.S.A. When booking flights online, customers are told that Disneyland Paris is with ‘within easy reach’ from Vatry Airport – but that easy reach is about 70 miles away. At the moment flights operate between ‘Paris-Vatry-Disney’ and Marseille, Porto and Stockholm, but if the route proves successful, then flights from Britain could follow. If you missed the live show of Disney Dreams last night fear not as it’s on You Tube for you to enjoy.